If you want fresh bagels you can either wake up before the sun rises and wait at your local bakery, OR you can make them yourself. Choose from two different topping combinations, or enjoy them both! 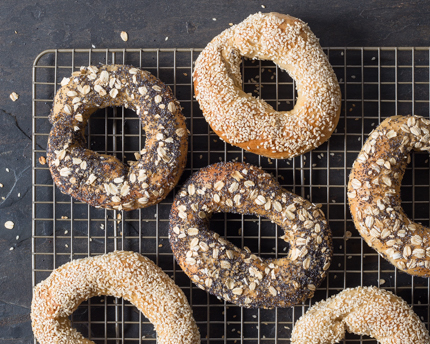 Treat yourself to a little extra sleep, and then treat your family to wholesome, fresh-baked bagels.